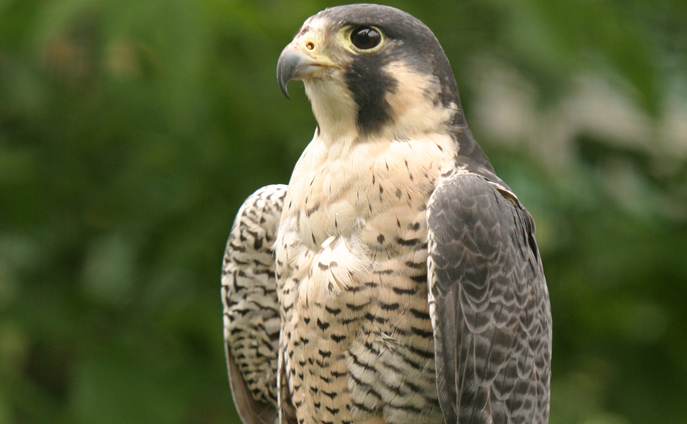 Peregrines are the world's fastest animals, reaching speeds of 360km/h in their downward swoop when hunting. Peregrines are successfully being reintroduced back into the wild. They were on the brink of extinction from overuse of chemical pesticides in the 1950s-1970s.